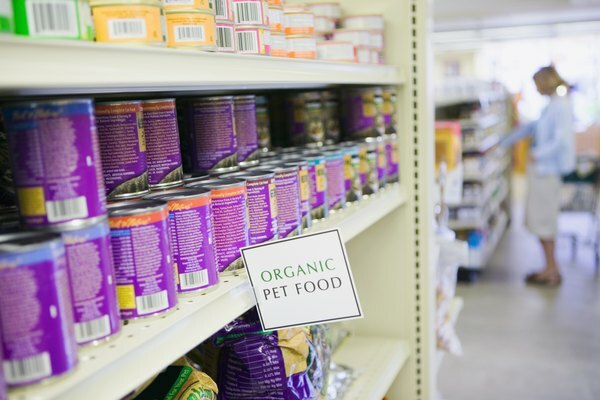 It’s likely chicken in some form, including dehydrated eggs, is in at least some of the food your dog eats, according to pet products supplier and medical information company Foster & Smith. Though a popular canine staple, poultry is also one of the top culprits behind canine food allergies, according to Merck Veterinary Manual. 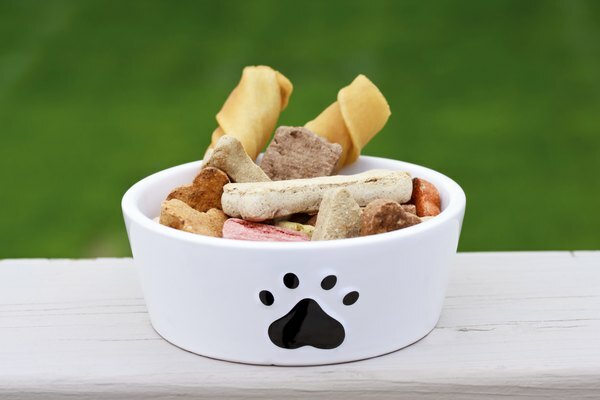 Food allergies are one of the most common types of allergies to occur in dogs, responsible for 20 percent of all cases of scratching and itching in canines, according to Foster & Smith. Chicken is the third most common food that ails a dog in this way, after leading culprits beef and dairy. Lamb, fish and another chicken product—eggs—as well as corn, wheat and soy are also ingredients commonly behind our pet dog’s allergies. 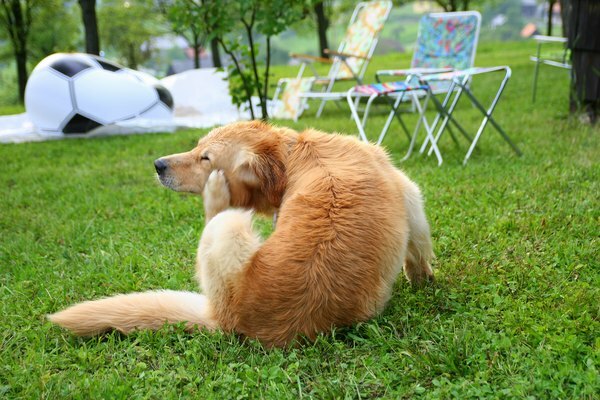 Unlike other sources of canine skin problems, certain dog breeds are not more likely to have problems with chicken than others. Your dog can also develop an allergy to chicken at any time in his life; allergies have occurred in dogs as young as a few months to as old as 14 years, according to MVM, though most allergies in dogs occur after one year of age. 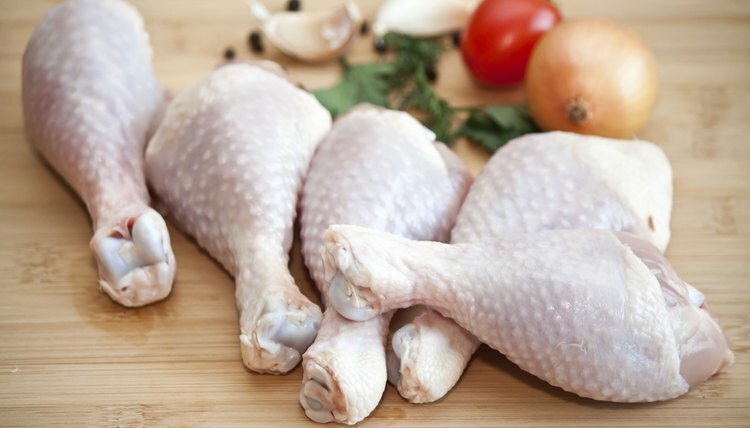 Allergies to foods like chicken can cause serious itching, redness, skin infections and eventually hair loss, usually brought about by the intense itching and scratching at the affected site, according to Canada-based Alberta Veterinary Medical Association. What differentiates food allergies from food intolerance, like what you may suffer after eating a spicy food or drinking dairy, is that intolerance is limited to stomach upset and gastrointestinal problems. Vomiting and diarrhea are common with food allergies, but the skin also flares up, a characteristic not seen with intolerance to foods. 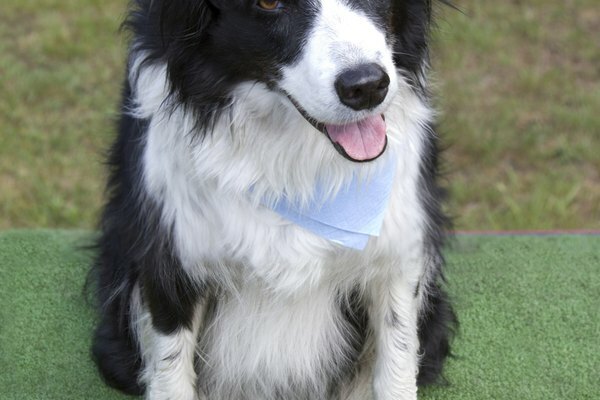 It can be tricky to identify that your dog is allergic to chicken. Unfortunately, Foster & Smith reports that blood tests are not reliable ways to determine your pet has a food allergy; the only way to know for sure is to remove all chicken ingredients (including egg-related products) from the diet and see how the dog responds, according to MVM. To be absolutely sure that chicken is the culprit, after three months on a new diet, return your dog to the old chicken diet. See how he responds. It it’s really an allergy to chicken behind your pet’s problems, the old symptoms will emerge as quickly as an hour, and usually within two weeks. 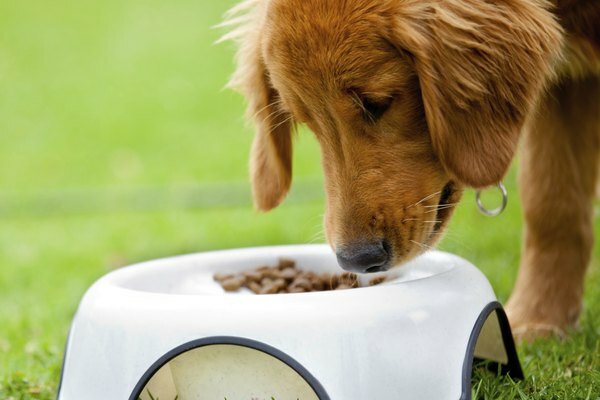 Make sure that your dog’s new diet is balanced. The suspected chicken should be replaced with protein and carb-heavy substitutes. Foster & Smith recommends healthy replacements like rabbit and rice or venison and potato. Also take great pains to make sure that all sources of poultry are removed from your dog’s diet, including from snack foods.